Welcome to Haunted Ohio, where you'll meet: the vengeful spirit of an Indian who wanted his skull back, a haunted garden party dress, a ghostly poisoner doomed to her own private hell, the long-dead actress who still takes curtain calls, a bereaved mother who searched Eternity for her baby, the headless motorcyclist of the Great Black Swamp. If you fear what you can't see, what you can't explain. 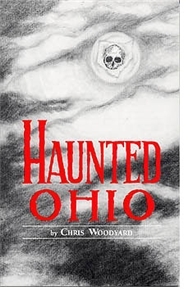 If you are haunted by that which  logically  should not exist, visit that altered state of consciousness: Haunted Ohio.